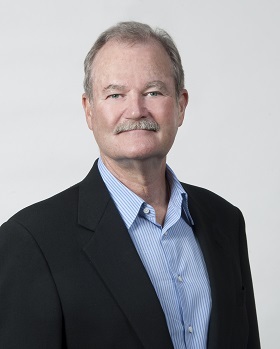 Businessman Brian Duperreault delivered a market industry speech entitled “Where Are the Women?” at the 2014 Bermuda Captive Conference [BCC], addressing the status of women in executive positions within the insurance and reinsurance sector. Regarding the title of his speech, Mr. Duperreault opened by saying that he had received some “good-natured ribbing” about it, but went on to point out just how serious the question posed was to the insurance industry and business at large. Mr. Duperreault said, “I came by the topic honestly. I was looking over the agenda for this year’s conference to see what you’d be discussing and noticed there weren’t many women making keynote presentations, or sitting on panels as participants. “We had a discussion about the number of women graduating with MBAs. The percentage of women coming into and graduating from our MBA programme has risen over the years, but during the last decade or so, it’s been stuck at about 26 percent. “This led to a discussion about why, and what could be done about it. And that discussion got me thinking about women in the insurance and reinsurance industry, and why there aren’t more females in senior positions. Thank you, Jill, for that kind introduction, and good morning, everyone. It’s a pleasure to be here. I came by the topic honestly. I was looking over the agenda for this year’s conference to see what you’d be discussing, and noticed there weren’t many women making keynote presentations, or sitting on panels as participants. At the time, women in the workplace was top of mind for me because I had just attended a meeting of the Board of the IESE Business School in Barcelona. Many of you will be familiar with IESE. It’s one of the top business schools in the world. We had a discussion about the number of women graduating with MBAs. The percentage of women coming into and graduating from our MBA programme has risen over the years, but during the last decade or so, it’s been stuck at about 26 percent. This led to a discussion about why, and what could be done about it. And that discussion got me thinking about women in the insurance and reinsurance industry, and why there aren’t more females in senior positions. Along with doing some research, I’ve been doing some soul-searching as I prepared for my talk this morning. I’m pretty sure that during my career, the decisions I’ve made about pay or promotions haven’t been based on gender. This may have something to do with being raised by a single mom who showed me that a woman can do anything a man can do, and, often, do it better. It may also have something to do with being married for 42 years to my wife Nancy, an accomplished woman in her own right whose strength, confidence and ability have always been so impressive to me. And it may have something to do with being taught by nuns throughout my elementary and high school years. Their discipline, strength and fortitude left an indelible impression – sometimes literally. But that’s just me, and I’m just one man. And while it’s undeniable that we’ve come a long way from the overt discrimination of the 50s and 60s, we still have significant issues with how women, and other minorities, fare in today’s workplace. It’s worth noting that in my experience, the majority of men in senior management positions aren’t satisfied with the progress that we’ve made in creating a better balance on our executive teams and around our Board tables. The intention has been there, but not the results. So today, I’m going to call on the men in this room, who occupy the seats of power, to do something about it. And I’m going to call on the women in this room to make sure you’re an active participant in effecting change – for yourselves, and the women coming up behind you. But before I do, let’s go over what recent research says about the status of women in leadership positions. A couple of years ago, a Forbes columnist charged that the C-Suite and Boardrooms of our companies and organizations are male, pale and stale. He was right in 2012, and he’s still right in 2014. Let’s look at the data. While there are inequities in all areas of minority representation, I’m going to look specifically at gender inequality and the lack of women in the top executive positions in our industry. Women make up half the workforce. They come to that workforce armed with diplomas from the finest business schools. And yet, according to the research firm Catalyst, less than 5 percent of CEOs in Fortune 500 companies are women. It’s the same at Fortune 1000 companies. In our industry, the figures are even worse – just 1.3 percent of CEOs in finance and insurance are women. In Captive Review’s list of the 50 most powerful people in the captive industry, seven are women. By the way, Jill Husbands is one of those seven. Women still earn less than men, even adjusted for variables like length of employment and education. The latest research shows that while pay and promotion are pretty much equal out of grad school, a gap emerges and widens over successive decades. By the time men and women are in their 40s and 50s, men dominate the C-Suite, and earn 20 to 30 percent more than their female colleagues. After all the advances we’ve made, and in spite of the good intentions that I referred to earlier, why is there still such an imbalance? What’s going on here? According to a large number of recent studies, there are a variety of factors at play. The interesting thing is they’re interconnected, and each has an impact on the other. One factor is the gender bias we all bring to our jobs. Whether we’re male or female, we have a concept of what we think that means. And it affects how we perceive and interact with each other. Often, that concept involves stereotypes. As much as we’d like to think we can shake them off, those stereotypes are embedded by our upbringing and by our cultures. When you add race and ethnicity, you add more layers of stereotypes. We use words like “aggressive, decisive and independent” to describe men. When we see that type of behavior, we recognize it as male. We use words like “helpful, sympathetic and understanding” to describe women. And when we interact with women whose behavior fits that description, we recognize it as female. You can see where these stereotypes can lead our thinking on leadership. In April, The New York Times reported on a study by researchers at the London Business School and University College London. The researchers looked at how colleagues perceive each other in their work environment. This study found that men were automatically afforded the status of “brokers” for networking and teamwork. Dominant and authoritative men were applauded as natural leaders. Women who were also dominant and authoritative were judged as effective but they were criticized for those traits – by both men and women – and weren’t considered as legitimate brokers of influence. The authors of the study called this “stereotype violations.” Women who don’t fit a certain perception of how they should behave are penalized. Another factor in how men and women advance in their careers is the difference in their levels of confidence. A Carnegie Mellon study showed that men begin salary negotiations four times as often as women do, and they ask for 30 percent more. A study by Brenda Major, a social psychologist at UC Santa Barbara, measures how male and female students feel they would do on a number of different tasks. Major has been running the study for decades, and says the results haven’t changed. Male students consistently overestimate their abilities and performance, and female students consistently underestimate theirs. Earlier this year, Thomsen Reuters released a white paper outlining a 20-year study that found the same thing. Men over-value themselves, and present themselves with a greater sense of pride and self-importance. This tends to strengthen what colleagues think about their competence and value. Thomsen Reuters found that women under-value themselves, have lower expectations and present themselves modestly. As a result, their perceived competence and value are undermined. It’s not that men think they’re innately superior to women. Ernesto Reuben, a professor at Columbia Business School, has coined a term for this: “honest overconfidence.” Men have been encouraged to believe they’re natural leaders and achievers. Women have not, and this dynamic gets reinforced in the workplace. And you can see the impact this dynamic can have on the confidence gap. Another factor affecting a woman’s career path is how often she gets assigned to what’s called stretch assignments. These assignments are an important part of performance appraisals and can make a difference in assessing who qualifies for a promotion. They might include working in an overseas office, or leading a team, or overseeing research and development. Stretch assignments expose managers to a company’s primary sources of revenue, strategic markets, or key products. Generally, men look for these assignments and actively lobby for them – whether or not they’re qualified. Generally, women don’t – even if they’re eminently qualified. And here’s the thing: a male employee is likely to be promoted because he’s had the benefit of stretch assignments. And women can end up in what’s called the “pink ghetto” – that level of management seniority that may have the title, but doesn’t have the line to the top. There’s a learning and development model called the 70-20-10 rule. It’s been used for a number of years by HR professionals, and says 70 percent of a manager’s experience should come from stretch assignments, 20 percent from mentoring and 10 percent from classroom learning. But research shows that for women, the emphasis has been on the mentoring and training part of the formula, and not the on-the-job experience – the stretch assignments. According to Herminia Ibarra, Professor of Leadership and Learning at INSEAD, that 70 percent is a key determinant in the arc of a woman’s path to the C-Suite. Finally, one of the most complex issues facing women and their potential for advancement is maternity leave and child rearing. As much as we like to think we’re an evolved society where men pull their weight with raising kids and sharing the responsibilities of running a household, many of you in this room know this doesn’t reflect reality. Research shows that the bulk of these duties still falls on women’s shoulders. A working mom goes home and then she starts her second job – what’s called the second shift. After eight or 10 hours at the office, she starts in on dinner, homework, bath and bedtime. Getting home at a decent hour to spend time with your kids can be to your detriment. A study by Harvard professor Claudia Goldin found that women MBAs and lawyers who don’t put in long hours at the office are shortchanged when it comes to promotions or pay increases. So we have gender bias, unfair job assignments, a lopsided work/life balance, and pay inequity. Clearly, this isn’t right. And things need to change. But change is difficult. It takes a lot of time and a lot of effort. When you’re trying to grow a business, stay competitive and make a profit, it’s easier to work with people who look like you do, who act like you do, and who share the same set of experiences that you do. It’s much more difficult to grapple with issues of diversity, and to account for different voices and different perspectives. In our industry, those companies who bring diverse minds to the table will be the companies who understand the risks of the 21st century. Their male, female, black, white, young and mature employees will come up with the creative, innovative solutions demanded by our changing world. The power for change lies in the first instance with men. The good news is that when gender issues are brought to men’s attention, things do start to shift. Research into what effects change in men’s attitudes shows that when we’re aware of gender bias, we’re more likely to say that gender equality is important. Research shows that having a strong sense of fair play makes the difference between men who champion gender equality and men who don’t. And there are three barriers that undermine our support to end gender bias: apathy, fear, and ignorance. So, men, there’s no excuse for ignorance. The data are clear. I’m sure you’re not afraid to tackle this issue. With the types of risks we handle in Bermuda, gender equality has to pale in comparison on the fear spectrum. And there’s no place for apathy. Apathy gets you nowhere in business. As with any organizational change, things have to start at the top. We need to make sure our executive teams know that this is an important issue. Without the executive stamp of approval, nothing will change. We need to embed training programmes in our human resource policies. Our executives need to be given the tools to establish and manage diverse teams of employees. We can tie diversity management to performance appraisals and bonuses. Many companies have done this, and are the better for it. And women, Sheryl Sandburg, the COO of Facebook, has called on women to learn how to take their place at the executive table, speak up and advocate for themselves – to lean in. Do this. You need to believe you’re awesome, too. Identify those stretch assignments. If you want them, lobby for them. They are as much your right as anyone else’s. And they are critical if your goal is a place in the C-suite. But don’t feel you have to act like a man to be successful. There’s a wealth of research that underlines the bottom line value of a woman’s perspective. In closing, I want to thank Jill again for the opportunity to speak to you today. I also want to applaud her, and all the women like her, who have achieved a place of power and prominence in our industry. I know, at times, they’ve had to deal with some pretty offensive stuff. They will say they were lucky, and had the benefits of male mentors. I know they are talented, astute, and accomplished. They can go toe to toe with anyone, anywhere. There are many more Jills out there amongst the Jacks already vying for the corner offices. Let’s find them, make sure they’re given truly equal opportunities, and welcome them to the C-Suite. It is good that BD has brought this topic to the fore. That took guts to do. I put forward that “gender bias” is more complex than the term implies. I suggest it is more apt that we have “leadership bias” and that is, a set of stereotypes as to the traits of good leaders. These sterotypes are played out and reinforced through all forms of media – movies, books, magazines etc. We lack understanding of the true traits of leadership and thus default to the TRAITS of many white males (Type A, left brain etc.) stereotype in assessing each other. It would be a mistake for women to take on these traits to secure leadership positions. They have innate if not dormant talents that are part of an objective list of leadership traits and must make their journey with them. Anything else is a recipe for disaster, regret. And with due respect, respect for women and respect for leadership traits are two different things. We live in a world where the common person in authority has not yet evolved past pattern recognition more suited to detecting predators on a plain or traits of a good breeder. Seriously. They way I see men gawk at the form of women on a daily basis, and indeed women who break necks to see each other based on a certain look, is indicative that the form rules over the inner content. Combine this with an incomplete understanding of the traits of a leader and you have a recipe for what the data points out. News flash: This is not a problem for men to solve, at least not directly. The problem men need to solve directly is to resolve their understanding of what it takes to be a good leader – objectively. And women, need to do the same. But if men in positions of authority keep their ‘form over content’ and view through a keyhole’ perspective on leadership while championing ‘equality’ at the C suite, expect more of the same or else….worse. This would be akin to asking the white population to resolve racism. It will never happen. Of course they shouldn’t knowingly and willfully indulge negative thoughts in this regard but this is hardly progressing the solution. That task lies 100% with those who experience being shortchanged. Finding a tactful and productive way to resolving it is the real ‘stretch assignment’. And that, like any virtue, is its own reward. Lastly, we must destroy the misconception that equality = sameness. A lock and a key are ‘equals’ – as it relates to the functions of securing a location and giving access to the appropriate parties – yet they are entirely opposites and complimentary. This word to the wise should be sufficient. This guy’s like a bad habit, it feels good but long term side effects!!!!!!!!!!!!!!!!!!!!!!! I wish that I could have listened to Mr Duperreault’s speech in person as I have a tremendous amount of respect for him not only as an industry leader, but also for his willingness to challenge the status quo and force these types of inconvenient conversations. As a woman who has been hitting my head against the proverbial glass ceiling within the industry, I recognize that there are many factors at play that account for pale and male c suite leadership, but am thankful that there are people such as BD willing to address the obvious issues at hand. Did he push for qualified Females on Boards or above the VP level during his previous Chairmanship? Don’t know, but appointing a female CEO has to count for something. Look at the Maternity leave in Bermuda! It makes it very difficult for women to have a career! Actually “me”, it’s the paternity and parental leave that are the problem… only the women are expected to take the leave… men are given normally 5 days… paternity rarely exists at all… so women are expected to work the 50+ hours before they start their next full time job raising kids, but men? It’s expected that they will work late, miss the homework, dinner and bath routine and just swoop home just in time to have a pre-cooked meal and a kiss on the cheek goodnight with their kids and that’s ok. Women do that and they are labeled selfish, bad parents with their priorities out of line. Stop and think about it. that should have read “parental leave” rarely exists at all… typo.